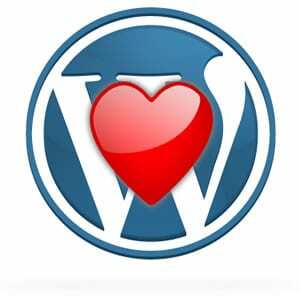 We are a dedicated team of designers and developers that love everything about WordPress. We have been working with this great open source platform for over 5 years now and have seen it grow from a humble blogging platform into an amazing and powerful content management system. It never ceases to amaze us just what can be done with this platform, from basic business websites to full eCommerce solutions and interactive story telling engines it provides the flexibility to do it all! Our mission is to provide quality, cost effective WordPress design and development services Australia wide. We have the skills and experience to help you get the most out of this great platform within your budget and delivered on time with a smile. WordPress now powers over 20% of all websites online. That’s over 70 million websites! More than 19,000 “plugins” are available for WordPress. That’s a world of functionality at your finger tips. Some of the biggest brands in the world use WordPress including Sony, Nikon, and CNN. WordPress is the most used content management system in the world with over 60% market share. Get in touch, have a chat! We are here to help. Pick up the phone and have a chat about your needs or drop us an email through our contact form. Let us advise on you on your best options to suit your needs so you can get the best possible WordPress website.